I don't feel like I'm setting out to do any heroic preservation. I just love this music ... I did songs that felt like home to me. I don’t feel like I’m setting out to do any heroic preservation. 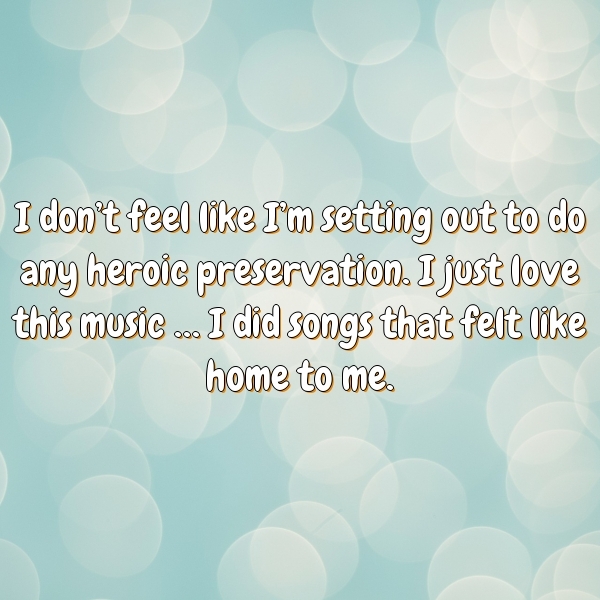 I just love this music … I did songs that felt like home to me.